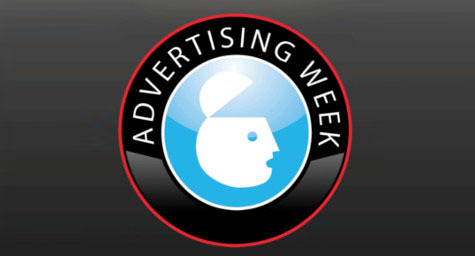 Now that the annual symposium of ad-focused events and seminars called Advertising Week has officially concluded, industry experts are analyzing the outcome in an effort to foresee the future of advertising. The most notable distinction of this year’s program was the emphasis on technology over tradition. From numerous discussions on mobile and digital advertising, to the reality that technology and targeting go hand in hand, it was clear that brands must be online to stay in touch and in tune with consumers. Huffington Post reported on the top topics and trends from the programs that are driving the direction of digital advertising. 1. Mobile Brings Brands Closer to Consumers – The ubiquity of mobile devices allows brands to stay in virtually constant contact with consumers. The challenge for brands lies in understanding exactly what these consumers want, whether it’s access to exclusive offers or entertainment via video. Brands must take the time to learn about the preferences and behaviors of these mobile consumers in order to create innovative digital advertising that will capture their attention and keep it. 2. One Consumer Can Lead to Countless Connections – Savvy brands are realizing that consumers are extremely connected and that their experience with a brand can hold significant influence among their personal network. Social media makes it extremely easy to share both positive and negative reviews in an instant, so brands need to strive to ensure that every consumer is satisfied, since their experience is likely to be shared Web-wide and could have a major impact on their standing and success. 3. Digital is Difficult – While mobile and social media technology may make our lives easier, they make digital advertising more challenging because the ever-expanding range of platforms makes it difficult to determine which are best for each brand. Now, brands must invest the time and effort in figuring out the most valuable ways to leverage the multitude of mobile and social media options in order to present solutions that ultimately simplify consumers’ lives. 4. Data Must Be Used for Understanding – Brands have access to so much consumer data today, yet many are too concerned with using it as a performance metric when they should be using it to listen and learn about consumers. This data can provide valuable information on the best ways to reach, resonate with, and retain consumers, so brands should use it as a trusted tool that grants gain greater insight on communicating with consumers. Overall, the main takeaway from Advertising Week is that technology is taking digital advertising in exciting new directions. Brands must now embrace today’s digital, mobile, and social media opportunities in order to stay in contact with consumers and on top of the competition. To learn more about the latest trends in digital advertising, contact MDG Advertising today at 561-338-7797, or visit mdgadvertising.com. MDG Advertising, a full-service Florida advertising firm with offices in Boca Raton and New York, NY, specializes in developing targeted Internet marketing solutions, exceptional creative executions and solid branding and media buying strategies that give clients a competitive advantage. Our core capabilities include branding, logo design, creative, digital advertising, print advertising, mobile marketing, media planning and buying, TV and radio, Web design and development, content marketing, social media marketing, and search engine optimization (SEO).